1. The melting Arctic: what will it mean? 2. Weird weather: is this the new normal? 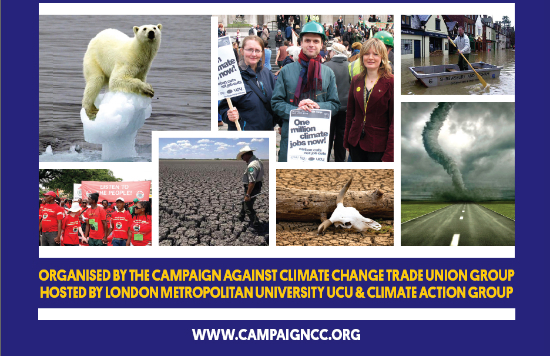 Confirmed speakers –Andreas Ytterstad (Chair, Union of Concerned Scientists, Norway), Dr Lara Skinner (Trade Unions for Energy Democracy, USA), Martin Empson (Million Climate Jobs Campaign), Ewa Jasiewicz (No Dash for Gas). Speakers from South African Trade Unions and Canadian indigenous movement linked through Skype. 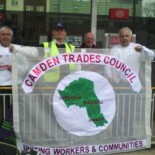 This entry was posted on May 14, 2013 by CAMDEN TRADES COUNCIL.